﻿ Manos Small World Hotel Santorini. JIMAT di Agoda.com! Ada soalan mengenai Manos Small World Hotel? Jika apa yang anda cari adalah penginapan dengan lokasi menyenangkan di Santorini, cuma perlu lihat Manos Small World Hotel. Pusat bandar hanya 1.0 Km jauhnya dan boleh sampai ke lapangan terbang dalam tempoh 15 minit. Untuk pilihan bersiar-siar dan tempat daya tarikan tempatan, pelancong tidak perlu pergi jauh dari hotel kerana semuanya berdekatan dengan Aegean Designs, Muzium Megaron Gyzi, Muzium Arkeologi. Menawarkan tetamu perkhidmatan yang unggul dan pelbagai kemudahan, Manos Small World Hotel komited untuk memastikan penginapan anda berada di tahap seberapa selesa yang mungkin. Penginapan ini menawarkan Wi-Fi percuma semua bilik, pengemasan harian, daftar masuk/daftar keluar ekspres, simpanan bagasi, Wi-Fi di tempat awam untuk memastikan tetamu menikmati keselesaan yang terbaik. Hotel ini mempunyai 11 bilik yang sangat cantik, setiap bilik dilengkapi televisyen skrin rata, sofa, tuala, almari, internet wayarles. Senarai lengkap kemudahan rekreasi boleh didapati di hotel, termasuk denai kembara, tab panas, menyelam, rumah urut. Dengan lokasi yang ideal dan kemudahan sepadan, Manos Small World Hotel sangat memuaskan hati. The hotel manager is being very helpful. Nice guy. Allowed us to early check in.. nothing to complain. Amazing service. Breakfast was great plus the view. Wonderful views and pretty good restaurant options nearby. We liked DaVinci and their sister restaurant, forget the name but it begins with "P" - (up the hill and turn left). Hotel is down the steep hill so get some help with your bags if they are heavy. The hotel is small and dirty. The reception is just a very tiny room which I have never seen before for a 'hotel'. The room, especially the sofa and bed, is not clean. We even saw moving ants on our bed. A hotel staff help us to carry our luggage down the stairs to the hotel. However, he repeatedly asked for tips and gave us a bad face when we did not give him any tips. Although this hotel is comparatively cheaper than others in Fira, it does not worth the price at all. A B&B/hostel will definitely be better than this so called "hotel". View from the propery is best while having breakfast serve in your own patio looking over to Caldera. Very nice accomodation and beautiful view from the terrace as it’s on the great location. But wifi and TV don’t work, and terrace is shared with other rooms so just not to have the wrong idea! The breakfast served was not what we ordered and coffee was not hot. The location is good, not far from the bus stop. Actually we have previous booking for another hotel 2 month before the trip, but Agoda cancelled my booking just 1 week before the trip, because the room is over booked. I was super angry. During this last minutes change, most of the rooms are full in Santorini and the prices are increased. I have not choice but book Manos small world, which is near my previous booking hotel. I found Mano Small world is the best hotel we have stayed during this trip, good location with great views and nice breakfast, helpful staff. Will consider to stay again if revisit Santorini. The staff was extremely helpful for recommendations around the island, very friendly and attentive to our needs. The breakfast was a great way to start the day. The central location and amazing views made for the best experience during our time in Santorini!! This hotel is in a great location and the view is just to die for. You can walk into the main city within 10-15 minutes. From Fira you can then take a bus anywhere throughout Santorini. The staff is extremely accommodating and helpful. The hotel was very quiet when we were there and it was like we had a whole private patio overlooking the Caldera. I highly recommend the hotel for the value. The only thing the hotel does not have is a pool. We were lucky and privileged to stay at Manos Small World. 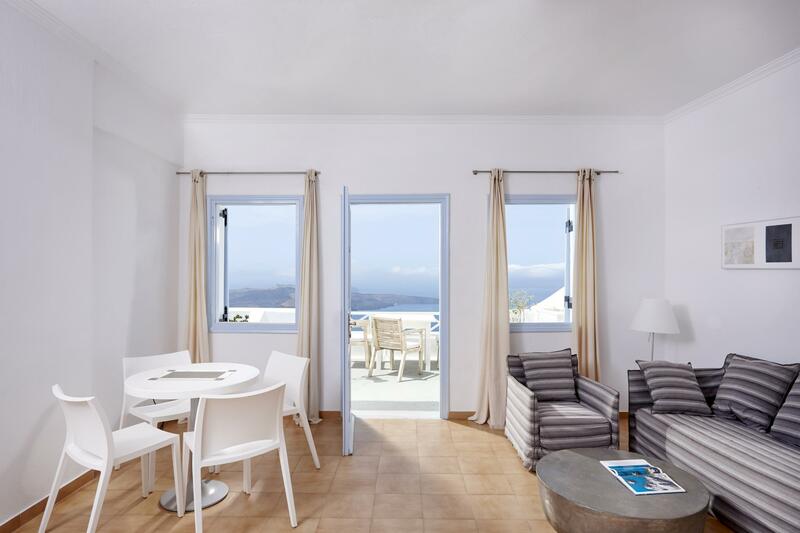 The location could not be better as you are within walking distance of Fira and Imerovigli and the rooms are great for the hotel category and the views are among the best in the whole island. Thrassos, Eftimis and the rest of the staff were always really helpful and friendly and the breakfast was always tasty and plentyful. We had a great time in Santorini and Manos Small World was a big part of that! The view from our studio was fantastic, probably the best we have ever had from an apartment/hotel room. All of the staff were friendly and helpful throughout but particular mention to Tim who was first class from start to finish. Nothing was too much trouble. The recommends to restaurants were first class.. I would recommend Manos Small world without a doubt and it will certainly be our place of choice to stay when we return to Santorini. One pice of feedback, it might be useful to have a letter box facility or a box on the wall at reception for guests who are departing early to drop their keys! 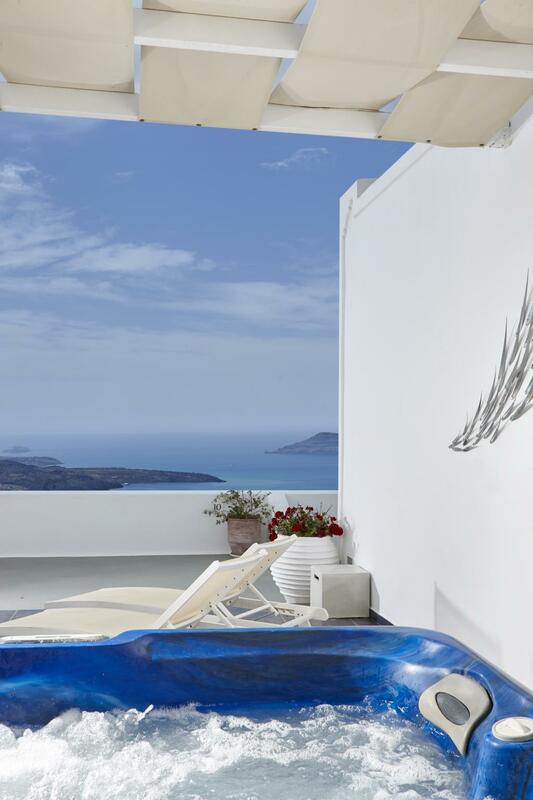 An excellent hotel provides the opportunity to truly experience what Santorini is all about. Great view from the room and balcony. Breakfast on the balcony is an +. Service is good. Staff will help you with luggage move. I stayed here 2 nights. The location is convenient to Fira. The view is stunning, the room is spotless and the staff is friendly and always be free to ask questions. Although I took hotel pick-up service from port to hotel the driver asked me double price as hotel informed me after I talked to hotel staff what happened, the staff apologized and arranged me free transportation to airport. I was so grateful they solved problems immediately. I highly recommend this hotel.